Great Creative Session, the breakout has began. 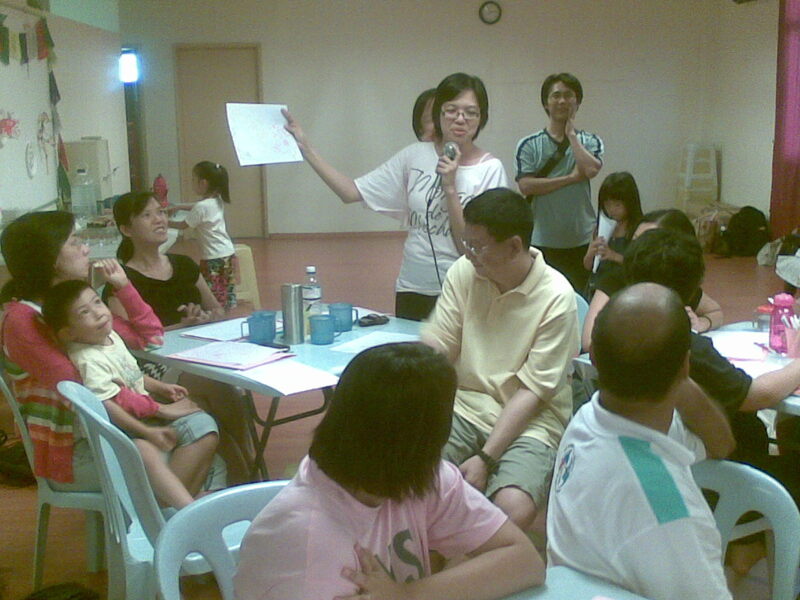 We had a good session at out BREAK OUT OF YOUR MIND talk and workshop on Aug 28, 2010. Though short, we hope the session provided an opportunity for parents to understand some of the approaches to homeschooling. Our aim is that homes become a platform where creativity and innovation can be nurtured. It is also an appreciation that each child learns differently and are special in their own way. Parents were briefed about what creativity is (although difficult to define). We shared the need to think creative as creative thinking and action will help our children survive in the future – a future that is ever changing. A future we cannot predict. Therefore the need to able to think differently each time. The last part of the talk focused on values. We got parents to think about their own values at home and how they interact with their children. Indeed, to homeschool a child is not to make a difference between parenting and learning. To a large extent, we need to follow our hearts. We need to listen to the hearts and allow the opportunity for our young to allow them to follow theirs. It’s about exploration, discovery, immersing ourselves in what we like, thinking different and connecting them with others. Notes on the talk is available for attendees and in request. Please email us to request for a copy of the notes. Start to think different. Break out! This entry was posted in Activities, CLiC Activities, Our home schooling experience, Seminars, Conference Dialogues & Talks, Workshops and tagged creativity, homeschool approaches, think different. Bookmark the permalink. 2 Responses to Great Creative Session, the breakout has began. oh…. Feel so sad I couldn’t join you guys the other day. Really wish I could have gone. Must’ve been loads of fun!! !